I think I have decided that I like getting moles removed from my back better than from my front. When they're working on my back, I can't see what they're doing which is much less traumatic. Yesterday, while lying on the surgery table, I could see thread and needles and a scalpel with blood (MY blood!) on it and it was just a bit much. When I was telling Sarah about it later she said, "Well, why didn't you close your eyes?" Good question. And the answer is that I am just so doggone curious about everything that I couldn't keep myself from looking. But looking made me kind of queasy. And yet I couldn't stop. Yep, I know. I'm strange. 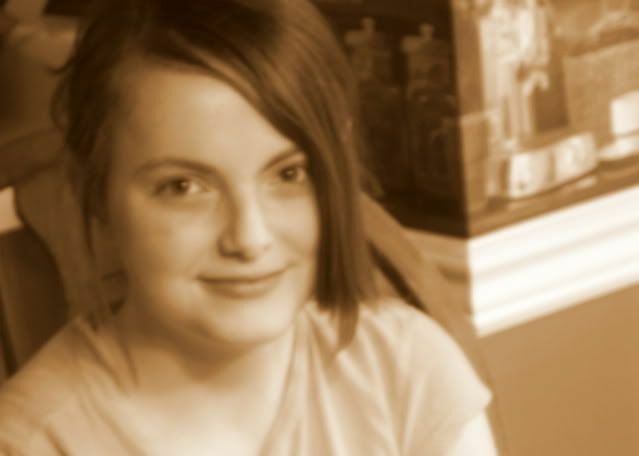 It reminds of back when Sarah was in treatment and was scheduled for a bone marrow biopsy. (That lovely procedure consists of drilling holes in both hips and removing marrow.) I got it in my head that it would be very interesting to watch this procedure being done because, once again, I'm curious about stuff! I was all calm and cool as they started and was feeling quite pleased with myself that I was getting to observe such a fascinating procedure. Those lovely, fluffy feelings did not last long. Not long at all. Maybe if they had been working on a stranger, I might have done better. But it suddenly hit me that they were drilling holes into the bones of MY daughter. And on top of that realization, there was some blood visible. And then it occurred to me rather quickly that I had better turn my head and take deep breaths or they were going to have a second patient on their hands. So at any rate, that was the last bone marrow biopsy I witnessed, although I am proud to say, I did make it out of the room without any histrionic fainting spells. That should count for something, right? Now for the book announcement. I had mentioned a couple months ago that Sarah had been invited to write a letter to be included in a book called, "Dear President Obama: Letters of Hope from Children Across America." Well, the book is now available online through Barnes and Noble and other major online book retailers. I found recently that there were 1000 letters submitted and only about 179 that were used. And one of them was Sarah's! 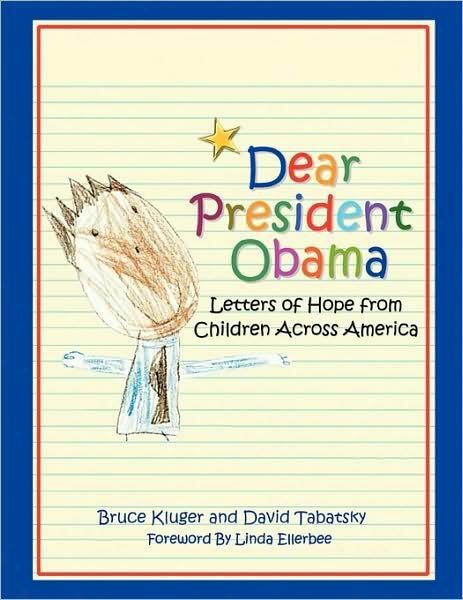 On November 5th, 2008, journalists Bruce Kluger and David Tabatsky (editor of Chicken Soup for the Soul: The Cancer Book) had a simple idea: to recapture the exhilarating spirit of the 2008 election from the perspective of our nation's children. They emailed a handful of friends. Those friends forwarded the email to their friends and relatives. In the end, the same infectious enthusiasm that fueled the Obama campaign itself produced the letters and drawings collected here. From every region of the country, from ages four to 18, these kids talk about their hopes, fears, and dreams, and their unchecked excitement about the historic election that took place during their young lives. In her foreword to the book, TV veteran Linda Ellerbee (Nick News) summarizes the one theme that runs through all of the children's letters: " Kids really get it, " she writes, "And, after getting it, they often want to change it. They believe they can change their world. They understand that citizenship doesn’t start when you’re 18; it starts the day you’re born. They are passionate and they want to participate. And that is the kind of honesty you will find in this book." So that's the latest Smith Book Scoop. Let me just close by saying that we are so very proud of Princess Groovy Chick, a real live published author! Dibs! I want one... :<) But you already knew that, didn't you? Didn't you??? Of course you did. Golly, only six! I'd like a book, but there just might be six other folks that should have priority on your supply. Does this mean that Barnes & Noble isn't selling them in their stores? Becky, glad you have a plan in place for your vocal-therapy. Congratulations, Sarah. And, you, too, Becky, because now you are not just an author, you are also an author's mom! Put me down for one, please! It would give me great joy to read something hopeful and enlightening. And it would give me great peace to know the future of our country is in the wisdom of the young. Very exciting! It's an honor to know you!